In their first year of competition, the OSCAAR Hot Rods delivered each week they hit the track, putting on a show for the fans. With experience on his side from years of thunder car competition, Steve Mayhew was set to make himself known in OSCAAR Hot Rod competition. Unfortunately, his year didn’t start out as planned as he fell out of the inaugural event at Kawartha Speedway early with mechanical issues. Mayhew managed to rebound nicely, though, scoring a runner-up finish at Brighton Speedway on OSCAAR’s fist ever dirt event, before placing fourth in his return to Kawartha in July. Right from the inaugural event to the end of the year, Jerry Luckhardt was part of the OSCAAR’s field each week, putting on a great show. Unfortunately, his first ever start at Kawartha also didn’t pan out well, ending early with mechanical issues. He joined the fray when the series headed to Brighton Speedway, scoring a solid fifth-place finish. Although he missed some events, there were some highlights, as seen with a runner-up at Flamboro Speedway in July. He wasn’t able to carry the momentum to Sunset Speedway though, as he placed eighth in feature one, before failing to complete Sunday’s event after the left front wheel came off on Lap 11. 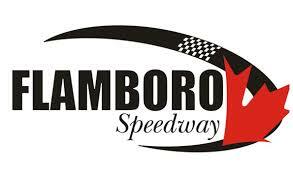 Luckhardt returned for the season finale at Flamboro Speedway, capping the year off with a solid fifth-place finish. On behalf of OSCAAR, congratulations to both drivers on a successful campaign in 2017. We look forward to seeing you once again next year.